Are you ready for the May issue? It’s here! 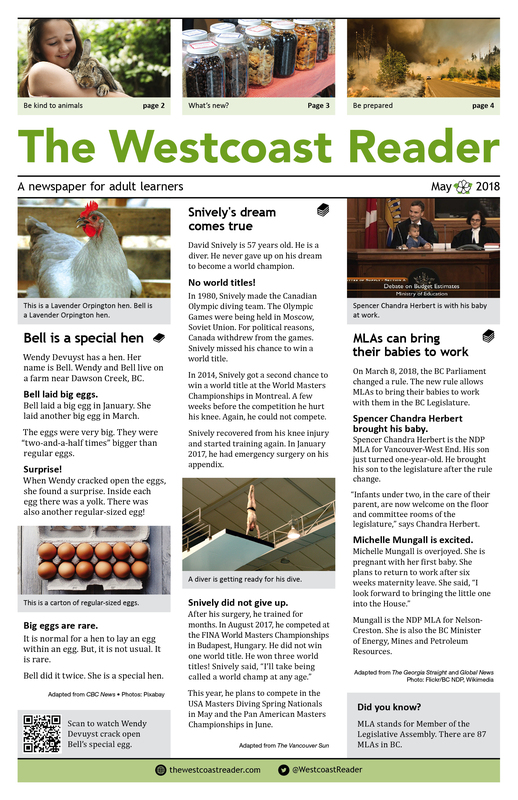 The next issue of The Westcoast Reader newspaper will be delivered to subscribers the first week in June 2018. Subscribe now to be sure you get your copy on time. Have a peek at the April issue of The Westcoast Reader! The latest issue of The Westcoast Reader is out! This entry was posted in Uncategorized and tagged animals, british columbia, calendar, community, dreams, emergency, environment, food, government, holidays, mothers, plastic, sports, zero-waste by Carolyn Moi. Bookmark the permalink.